Westport Parks and Recreation Department Director Jennifer Fava presented a rendering of the proposed bathroom and storage area building for Compo's South Beach at the Oct. 3 Board of Finance meeting in Westport Town Hall. WESTPORT — Opponents of a plan to build an ADA-compliant restroom facility on Compo’s South Beach failed to collect enough signatures to bring the decision to a townwide referendum that they hoped would overturn the project’s approval. “We have begun a petition drive in order to enable the town residents to voice their opinion on this restroom appropriation resolution, and to finally give the taxpayers the power to decide this rather than having it imposed upon them,” resident and physician Jay Walshon, an opponent of the plan, wrote in Nov. 25 email to the Westport News. At a Nov. 13 meeting, the Representative Town Meeting voted 26-8 to approve $840,000 in funding to replace the port-a-potties on South Beach with a permanent ADA-accessible restroom facility and storage room, paid for with a 20-year bond and likely to last 50 to 70 years. A week after the RTM approval, Walshon asked Town Clerk Patty Strauss for a petition to bring funding for the bathroom project to a townwide vote. He and the other project opponents had until 4:30 p.m. Wednesday to gather signatures from 1,885 residents. At 5 p.m. on Nov. 28, Strauss said petition pages were filed, but not enough signatures were submitted to merit a referendum. As outlined in the town charter, a referendum can take place if 10 percent of town’s registered voters sign a petition in support of a re-vote. 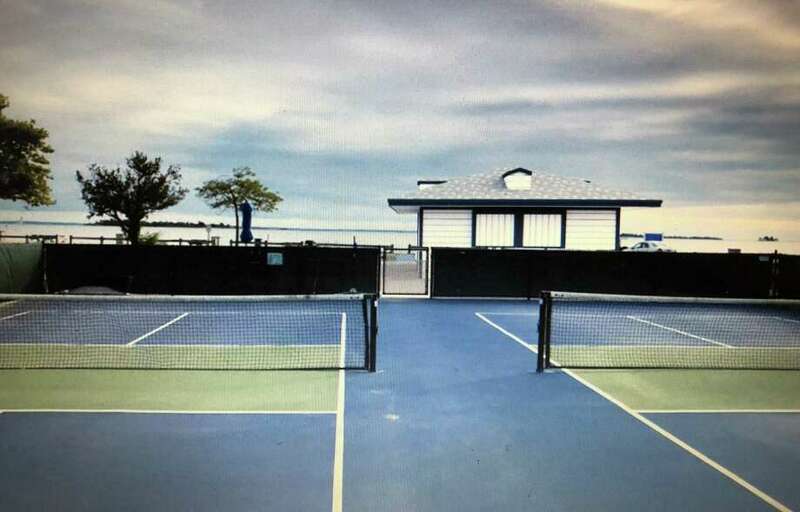 Several of the project’s opponents, including Walshon, are avid pickleball players and, over the summer, complained the facility proposed to be placed in front of the pickleball court would obstruct the players’ view of the beach. Further investigation into the proposal led him to conclude town officials lacked transparency in the formulation and passage of the bathroom facility. “The story had quickly become about self-serving government, deceit, lies, breaches in process, illegality, and the imposition of will (at any cost) upon the electorate that has been made impotent by crony politics,” Walshon wrote. “From our standpoint, it’s frustrating and disheartening that we spent the last several years working on this and following the town’s processes,” said Jennifer Fava, director of Westport’s Parks and Recreation Department that spearheaded the bathroom proposal. There have been 15 public meetings and hearings on the proposal since 2017 and even more in the prior years Fava said, noting all of town’s land-use bodies approved the project. “What started as an initiative to replace port-a-potties has opened up a conversation about disability rights and access to public facilities,” said Jim Ross, a strong proponent of the project and chair of the Westport Commission on People with Disabilities, said. Many members of the commission have spoken in support of the bathroom facility, saying the lack of an ADA-compliant restroom on South Beach makes it inaccessible to those with disabilities. “We unfortunately live in a segregated society for people with disabilities,” Ross said, adding the RTM’s approval of the bathroom facility was a historical civil rights vote for people with disabilities in Westport.